A lip lift is a surgical procedure that is designed to reveal a broader smile and to reduce the amount of spacing between the tip of the nose and the upper lip. Lip lifts are done through abbreviated hidden incision along anatomic borders. Lip lifts are one of Dr. Jacono’s favorite procedures to do since such a small procedure can have such a large impact on the overall beauty of the face. 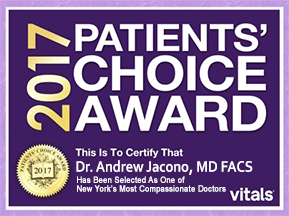 Dr. Jacono is a New York based, double board certified facial plastic surgeon who performs lip lift procedures using various techniques. One of the more common surgical techniques Dr. Jacono uses is called a bullhorn lip lift or a sub nasal lift. Upper lip lifts are one of the most common facial plastic surgery procedures over the past few years, and Dr. Jacono is one of the top facial plastic surgeons in the world who specializes in natural upper lip lifts using the bullhorn lip lift approach. What is a Bullhorn Lip Lift? As we age, lips can lose their shape and their fullness. The distance between the upper lip and the nose can also get longer as we age and will continue to do so over time. For the lips, they tend to descend related to the loss of support. To correct this and shorten the distance between the nose and upper lift, a lip lift or lip augmentation can provide a long-term solution. The bullhorn lip lift targets the upper lip area only and elevates it to reveal a broader smile and less distance between the lips and nasal area. Dr. Jacono begins this procedure by placing an incision just below the nose and in the shape of a bull’s horn. 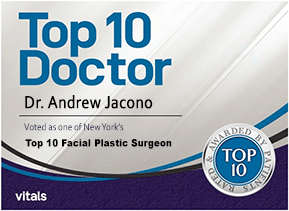 Dr. Jacono is an expert at placing the incision in a hidden fashion into the curves under the nose which results in a virtually undetectable scar. From there, a tiny strip of tissue and skin is removed, the muscle will then be tightened, and the upper lip will be raised to its new lifted position. The Bullhorn Lip Lift procedure generally takes about 45 minutes for Dr. Jacono to perform and is done under local anesthesia. A bullhorn lip lift is a surgical procedure is a great way to shorten and reshape the area above the lips and below the nose. This procedure will help to create poutier lips that are slightly lifted and allow for the upper teeth to be more visible when smiling. The procedure itself will take Dr. Jacono roughly between 45 minutes to an hour to perform and done under local anesthesia. A follow up appointment will be made prior to leaving the office. 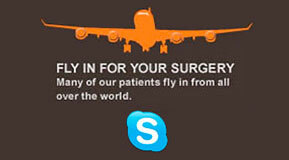 Post-operative and recovery instructions will also be provided prior to going home. Most patients are able to return back to most normal daily activities to include work after 4 to 5 days. Some minor swelling is to be expected but should subside on its own after one week. For full facial rejuvenation, Dr. Jacono can combine a lip lift with any other cosmetic procedure to include a facelift, eyelid lifts, browlift, and injectable fillers. Who is a Candidate for a Bullhorn Lip Lift? The Bullhorn Lip Lift may be a good solution for men and women who are in good general health and are looking to enhance their lips. This can include patients who may have been born with a thin upper lip and those who are looking to shorten the distance between their upper lip and nasal region. It is recommended that those patients who are interested in this procedure schedule a consultation with Dr. Jacono. During that time, Dr. Jacono will listen to your concerns and goals to determine which cosmetic approach will help you achieve those aesthetic goals. To learn more about lip lifting or to schedule your consultation with Dr. Jacono, contact his New York City office at 212-570-2500 or call his Long Island office at 516-773-4646. You can also fill out our complimentary online consultation form.